It's his second car which he is buying himself - financed by grandma :). He has a budget of $9000 and is interested primarily in reliability/cost of ownership. Body style/looks are not that important. We're looking at Honda/Toyota/Subaru/Mazda compact SUV's or wagons. I see a lot of low 100k mile subaru 2.5i/outback vehicles available, as well as the occasional Rav4. I've seen a couple of Honda Pilots with just <100k or just over 100k miles in this price range too. Old Subarus burn oil and blow head gaskets, so I would avoid them. The Pilot is reliable from 2006 and newer (silver grille). Anything older has a bad transmission (black grille). For the RAV4: 2004, 2005, and 2009 and newer models are reliable. 2006 to 2008 burned oil. 2001 to 2003 had a malfunctioning ECM that would kill the transmission. You won't really find a reliable Mazda SUV in your budget except maybe a 2008 or newer CX-9, and those are just average. The older Mazdas also rust from road salt very easily. CR-Vs are reliable 2002 and newer. 2007-2011 had climate control problems, though it was only very bad from 2007-2008. The Toyota Highlander is very reliable. I suggest the V6 models because those are more reliable. every year except 2008 is good. 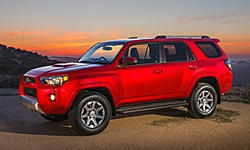 Every model year Toyota 4Runner can last hundreds of thousands of miles easily. Super reliable. The drawback is that the ride is very bouncy. They do very well in the snow and off road if you get it with 4WD. The V6 models are the most reliable. The 4 cylinders are very slow. 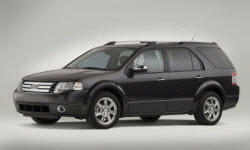 This SUV will have the lowest cost of ownership and is cheap to fix. They are expensive because their resale value is so high. Don't shy away from the ones with 150k miles because those could be only halfway through their lives. 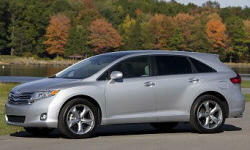 The Toyota Venza also had AWD and was reliable. The Honda Element is practical and reliable, but not available with AWD. 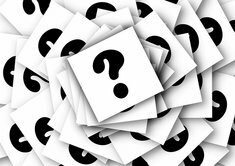 If you have any questions, ask us. Please tell us what your son chooses. Good luck! 1) For your price range, Subaru is out. You will have to go to old and you are just inviting problems with gaskets heads and other engine issues. The latest ones don't have the head gasket issues although some burn oil which is manageable, but those newer ones are out of your $9000 price range. 2) Mazda is out for reliabiity issues as you have to go too old to get in your price range (if you are in New England where I am you are going about 9-10 years old to get into your price range on the CX-9 unfortunately, which is okay but not great in reliablity). I would also avoid. 3) CR-V is fine in the range that Lectrofuel puts - I have nothing to add. 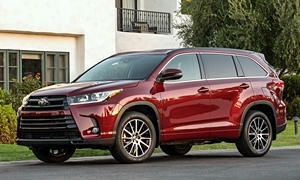 4) Best bet is the Toyota Highlander and 4Runner in your price range. Those two are highly reliable for the most part.The RAV4 is not quite as good for the reasons Electofuel mentions some years. You did mention wagons. There is one psudo wagon which may work for you and has reasonable reliablty, although Michael has owned one and has had less luck then my friend who still owns his. The Ford Tarus X was built from 2005 to 2009 and if it does not have rust, it is a pretty good car. My friend has 150,000 on his and it is still going well. He had some trouble recently with the acuator and earlier with the AC compressor, but that is pretty much it over 11 years of ownership. 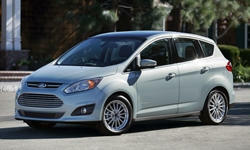 Another small wagon no one thinks of used is the Ford CMAX hybrid. A 2013 goes for $9000 in my area with 90,000 on it. They share hybrid parts with the Toyota Prius (Ford pays minor royalities to Toyota although the hybrids are slightly different) and this Ford model is not bad either. There have been some electrical problems reported but the car's reliablity from the start has ranged from average to above average - and it does fit in your price range. Those last two I add to what Lectrofuel wrote. Best of luck. What incredibly well thought out and thoughtful answers! I really appreciate both of you taking your time to respond with such quality answers! I will post back here once we pull the trigger on a vehicle. How is these highlanders in terms of price/mileage? The first one looks good. Except it failed the smog test just before the owner sold it, and it passed shortly after. It was a rental car for the first year in its life, which surprised me. Considering how far it has lasted so far, I wouldn't worry about the fact it was a rental car this time. These cars last a long time. The price is high though. In my area, that Highlander would be going for $6k. Maybe the price is high because AWD is sought after in your area. I would try to knock a grand off the price. The car looks very nice though. It has the optional third row seats, which you may or may not need. It takes up cargo space and is only habitable by little kids. I agree with Lectrofuel with the only caveat - you have no idea how rental drivers treat a car. If you have ever rented a car, how have you treated it - like your own? Probably not. People eat in rental cars who would never do it in their own. Some push them as hard as they can go. The only issue I have with those former rental cars is you really have no idea how they are treated. It is a Toyota but I just worry about the longer term effects of those rental days. With over 150,000 on it I really don't know how it will do. The fact it failed a smog test (unusual for a Toyota this early) could be an indication of its original hard life as a rental car. I personally avoid former rental cars when I buy used. Some do work out, others don't. You just take your chances with them. Best of luck if you pull the trigger on it. I would never buy a rental car myself, but I would trust a Toyota rental car with being reliable. I recommend all of these except maybe the Nissan. The CR-V, Sequoia, and Element are the best ones. All of the listings have 4WD. 2009 Nissan Pathfinder - No CarFax. The only reliable year of this generation Pathfinder. I'm not totally sure with this one. The rental Highlander sounds better. Not as good on gas. 2009 Kia Sorento- Low mileage and way below budget. Pretty reliable, but not good on gas. 2006 Toyota Sequoia - This one has a lot of mileage on it, but they last for over 300k miles before major problems usually. This one is in mint condition. 2001 Lexus RX- Might not be a good deal because the Lexus badge raises the price. They are very reliable. 2006 Honda Element- I think your son would really like this car. Reliable and practical. You could probably knock the price down a little. We bought a 2007 highlander with 127k miles for $10k. AWD, moonroof, no leather, no towing. 3 previous owners, most of its life in CA. Thanks again for all of your help, insight and expertise. It's nice to have informed opinions on such a purchase! Looks like an excellent choice. I would expect this will get you son where is going with minimal issues for most of his college life. Thanks for sharing your decision! Wow. That looks pristine. You made a good choice. Hopefully since it was in CA it hasn't been exposed to any weather. Congratulations and thanks for updating us! Best of luck and thanks for sharing. You should get another close to another 100,000 miles before major things start going. I owned a Toyota Cressida and the transmission starting going at about 200,000. I would expect at minimum you should get that far. It really looks like it is in great shape, and your chances are improved since it is from CA. Thanks for telling us!